Mother's Day is this weekend! A day where we make a special point to thank our mothers and mother figures in our lives. On this day, we honor those very special women who have made us into who we are today. We recognize and show appreciation for all the time and effort our moms put into the very important role of being a mom. On this day, we also may be one of the mothers who are pampered ourselves. Whether you're a mom or not, on this day, Mother's Day, we celebrate everything wonderful about motherhood and bringing new life to the world. Being a mom is the hardest but yet most rewarding job there is. Moms wear many hats and deserve to be pampered. Moms are nurses and boo boo kissers. The special mothers in your life, or you yourself may even be a farm mom or a gardening mom! 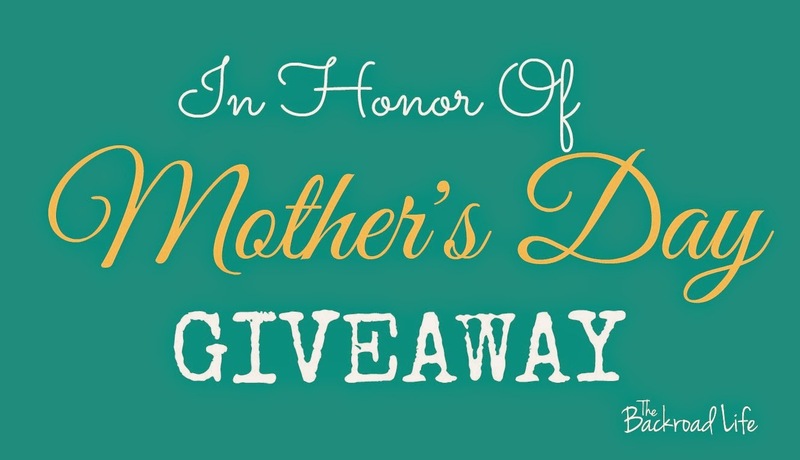 In honor of Mother's Day, I am taking this opportunity to host my very first giveaway here on The Backroad Life. This giveaway is open to anyone, you don't have to be a mom. Just a fun way to honor Mother's Day and welcome Spring/gardening season. 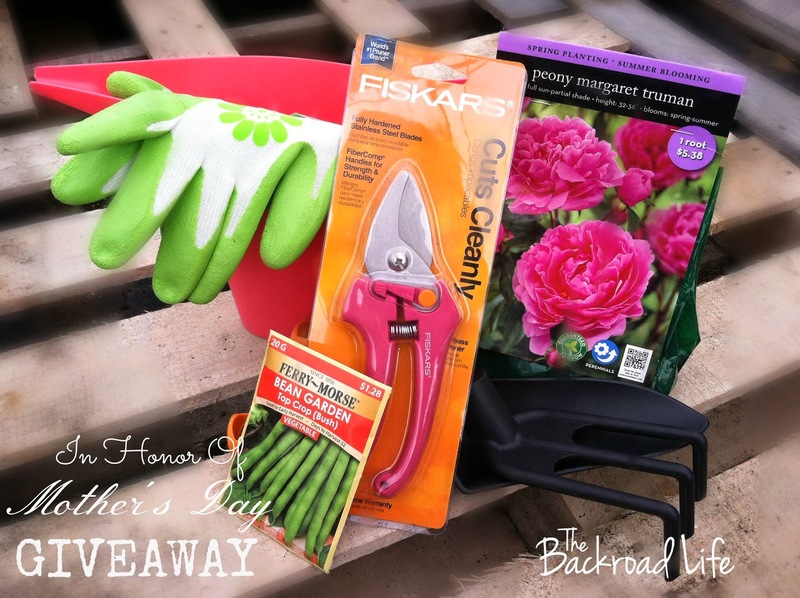 To enter my In Honor of Mother's Day Giveaway, simply comment on this post with your favorite plant/flower in your landscape or garden and why it's your favorite? Be sure to include your email address with your entry. One winner will be randomly chosen and announced on Monday, May 12, 2014. Happy Mother's Day to all you wonderful moms out there!!! Thank you for entering. I love strawberries too!! I love our cherry blossom tree!!! It's so pretty when it blooms in the Spring. Thank you for entering Arial! I LOVE cherry blossom trees - so pretty! My favorite garden plants are tomatoes! They taste SO much better garden fresh than from a store and I love using my canned tomato juice for yummy soups in the winter and fresh on summer salads and in homemade salsa! Thank you for entering Marie! Tomatoes are also one of my favorites in the garden!! I absolutely LOVE my grandmother's tulips I recently transplanted. They are my pride and joy. I also love my weeping cherry tree. It was the first tree I planted on our property. I love watching it grow and bloom. Thank you for entering Kelly! I love tulips! They are so pretty in the landscape and in flower arrangements, a favorite of mine!